Link building is one of the most common strategies that SEO's use to rank their site or posts in Google search. Backlink building will be more important SEO factor in 2019 also. Do you know that over 72% SEO professionals strongly believe in building backlinks to improve search engine ranking? There is no doubt that your blog's quality and content also matters a lot. Actually quality is most important than anything to rank high for a long time in search results. 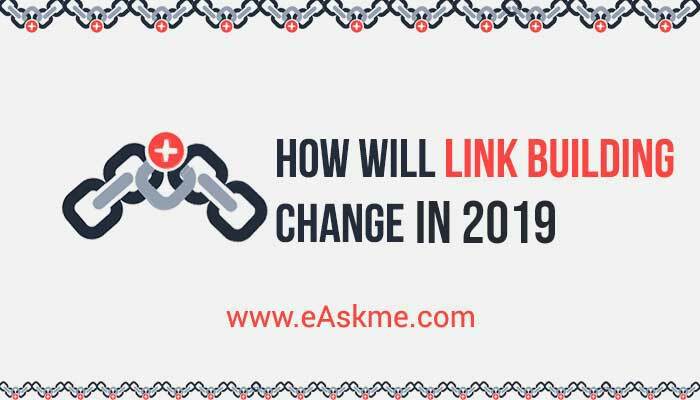 Based on my SEO experience in 2018, I m predicting how link building will change in 2019. Google already punished PBN sites most of the times. Still, many SEO pros try to use some advanced strategies to build PBN sites. They try to create PBN sites or buy backlinks with no footprints and in the more clean way. Google will surely identify such sites and put them in the sandbox or degrade those sites in search results. Google keeps improving it;'s algorithms to identify advanced PBN sites and link building schemes to punish such sites. Recommend: Stay away from PBN sites and link sharing schemes, as this will make you fall into the hands of Google penalties. As link building still be more important, so focus on creating high-quality content that attracts backlinks from reputed sites. You may still try to keep 5%-20% PBN links in your backlink profile but this can also invite Google to be hard on you. Question is do you still need to use PBN sites when there is a risk to get penalized? There is a risk in every business but if the risk is too big then one should completely avoid that. Rather than focusing on building backlinks using PBN sites, focus on creating evergreen high-quality content using pillar articles. This will help you attract high-quality backlinks and improve your link profile. Usually, an SEO can build 1-20 new high-quality links in a month. More than that can cause trouble if coming from low-quality sites. It takes time and patience to build high-quality backlinks. It is really important to build clean link profile. It is a good strategy to build keyword based robust link profile. Google algorithms will get smart and it will rank only those sites that actually satisfy the user query based on their clean link profile. Google voice search and Artificial intelligence will help the user to find what is helpful for them and increase the need for clean SEO. It is really necessary for you to make sure that your backlinks are according to your keyword strategy. Your link profile should make sense. If your site is getting the backlink from unrelated or low-quality sites that mean you are surely inviting a penalty. For example; if your site is related to utensils and you are getting backlinks from health sites that means you are getting low-quality links which are not related to your site. Use can use Ahrefs to find out the quality of your backlink profile. Focus on URL Rating distribution and change your link building strategy this year. Now you can use new Ahrefs SEO Toolbar to find link building opportunities. The search engine is smart now. They can very easily identify if the links are genuine or not. Influencer marketing is one of the most important parts of online marketing. 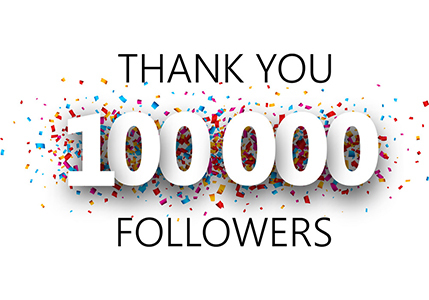 For brands, it is really important to connect with influencers in their industry such as social media influencers or bloggers. The brand needs influencers to make people aware of the latest launches or news events by sharing company info, reviews, sponsored posts etc. Brands will be more focused on influencer marketing in 2019. It will be a prominent marketing strategy this year. Influencer marketing also helps you to build high-quality backlinks as each blogger or influencer marketer talks about your product in his own tone on his blog and share that with his audience. You also need the genuine audience. You must focus on a transparent approach to connect with users. This will help build trust and turn your blogging business into a brand. You can also make influencer share some giveaway so that their readers can check what it is all about. This will be helpful for you and the influencer also. Always ask an influencer to disclose their relationship to match guidelines of Google. This year it will be really important to focus on how your content, product or services will fit in some specific categories to attract quality links. This will make you look for new ways to correlate your content with focused categories keeping relevance in your mind. Focus on your target audience and what type of content can satisfy their need. It will help you create useful content that can rank easily and make you build some good links. When your site gets relevant links with influencer outreach, it will grow like anything. Link building will remain an important part of SEO strategy this year. But when building links you need to focus on nature, quality and relevance fo the links. This will help you easily make your blog a brand and improve brand awareness. Don't try any shortcut to building links as it will cause you troubles in long run. Also, diversify your link profile but don't forget the importance of relevant categories and keywords. work with influencers in your industry and build quality links. What is your link building strategy? If you have any question or suggestion, feel free to share via comments.